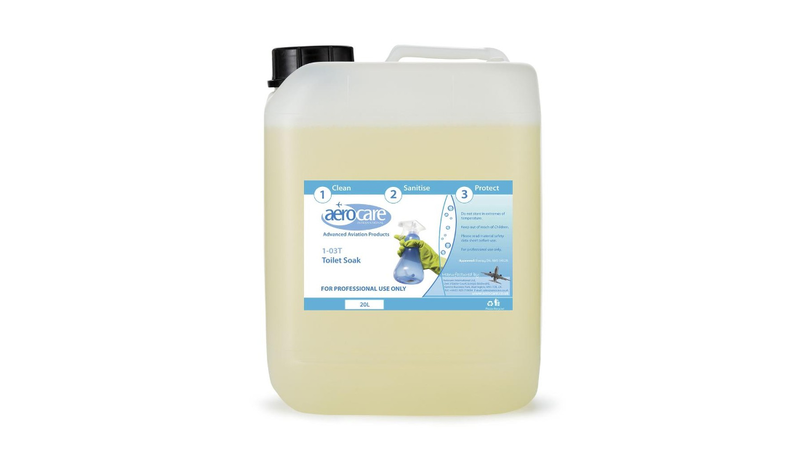 Aerocare 1-03T toilet soak has been specifically developed for Aircraft operating with toilet tank systems. Able to combat odours emanating from within the toilet tank and surrounding structures, 1-03T has been proven to remove and subsequently greatly inhibit the onset of odour producing micro-organisms. 1-03T will deal effectively with organic contamination that traditional chlorine based products have very low efficacy. Aerocare 1-03T also improves greatly with frequency of application due to build up of microscopic surface protection, allowing Airlines to extend application periods over time.